Muffins, cookies, cinnamon rolls and granolas. Muffins are similar to scones, but have more of a “cake-like” texture and a delicious crunchy streusel topping. Our flavors include pumpkin, raspberry, raspberry chocolate chip, chocolate chip. 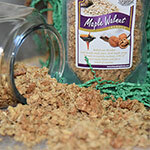 Maple-apple walnut and blackberry granola are two of our more unique flavors. Keep your eyes open because we are always mixing it up! Our granolas are made with pure ingredients. 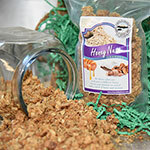 We start with whole rolled oats, blend in pure honey or maple syrup, chopped pecans or walnuts, a bit of pure sweet cream butter, and a touch of coconut. 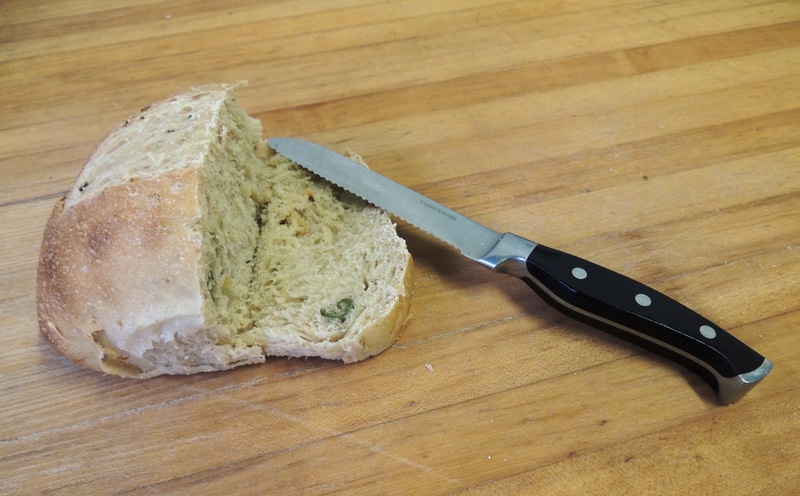 This mixture is gently baked in our hearth ovens, cooled and packed in airtight bags to lock in the freshness. 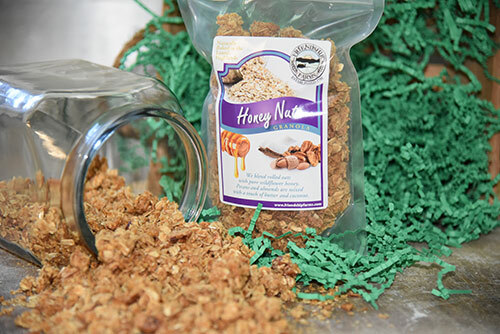 Granola makes a great, healthy energy snack with and is packed with nutrition and fiber. Use it as a snack out of the bag, as a cereal with milk, or a topping with yogurt or ice cream. Eating healthy never tasted so great! Nothing fancy here…just good old-fashioned classics, made the traditional way. This is the original “toll house” recipe cookie. 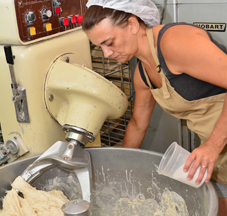 Ours are made with pure ingredients…unprocessed flour, oatmeal, guittard chocolate chips, butter and pure vanilla. You can’t find a more homemade chocolate chip cookie anywhere! 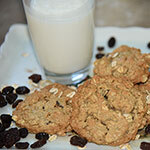 This is our version of the classic oatmeal raisin cookie found in many American kitchens. 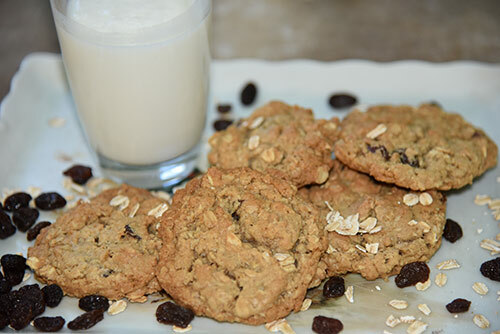 As always, we use only pure natural ingredients, rolled oats, unprocessed flour, pure plump raisins and a little spice. 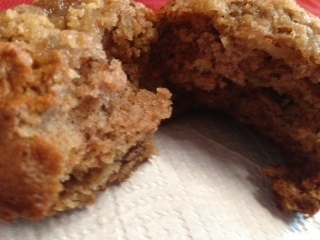 The final product is a chewy/crunchy cookie that you can feel really good about eating! Molasses cookies are an old family favorite. They are very similar to a gingerbread cookie but much softer and more delicate. They are made with just the perfect amount of ginger and molasses. At our house these were a necessary compliment to tapioca pudding, but can truly fill any sweet tooth craving. This is actually a vanilla sugar cookie that could be described as the vanilla equivalent to a molasses cookie. It is made with pure sour cream and pure vanilla extract. The result is a delicate and soft but incredibly delicious cookie. This is another item handed down from our nanas kitchen. We think you’ll enjoy! 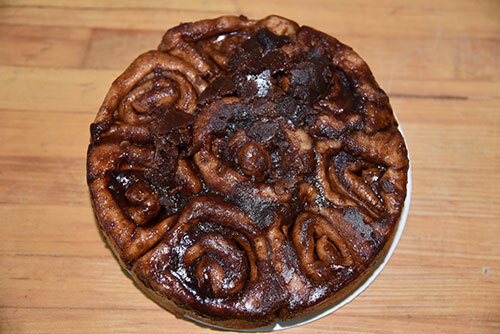 Our famous cinnamon rolls or “sticky buns” as we say around here, are made from our Nana’s original recipe. These are the same rolls that she used to wrap in foil and bring over to our house on special occasions…often causing mild riots over who got the center roll. Unlike many cinnamon rolls out there, ours are baked in the cinnamon sugar topping and have topping rolled into the dough as well. We use only the finest ingredients in our sticky buns…unprocessed flour, brown sugar, sweet cream butter and, of course, cinnamon. 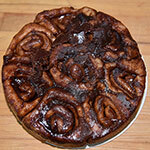 We make them with pecans for nut lovers and without. They are best served warmed slightly to bring out the rich flavor. These delicious rolls are made with the same dough and topping rolled in, but are not baked in topping. Rather, we sprinkle plump, juicy dark raisins into the topping inside and roll them up into the final delicious product. As if that weren’t sweet enough for you, after the rolls are baked and taken out of their pans, we drizzle white icing over top of each batch. Truly a special treat! 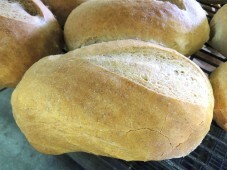 These rolls are made with the same dough as those above, with a local twist. 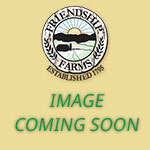 We use pure maple syrup from western MD and Somerset County, PA as a natural sweetener. 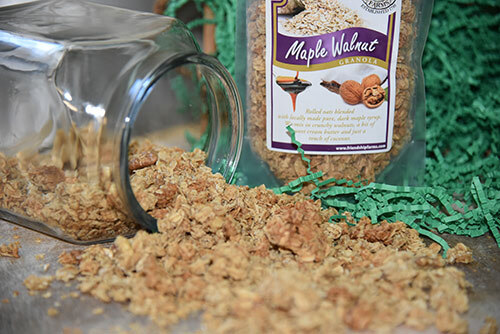 Walnuts are used rather than pecans in the topping…adding an extra delicious maple crunch to this sweet treat. Wow! An almond lover’s ambrosia! We take our sweet roll dough and roll in a deliciously rich homemade almond filling. 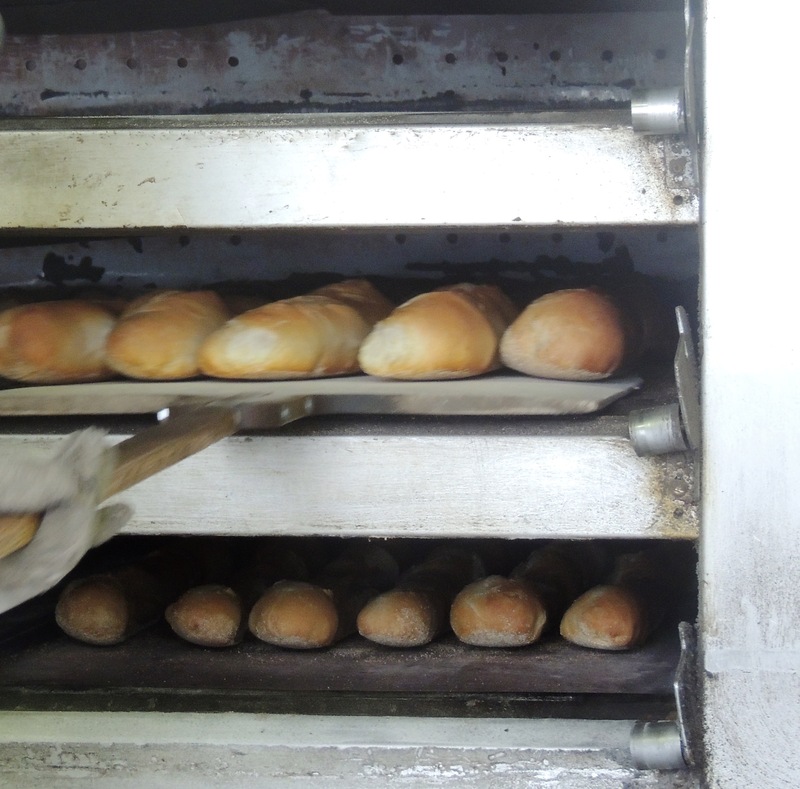 The rolls are then baked carefully in our deck ovens, removed from the pans and allowed to cool. The process is finished off with a drizzle of white icing and generous sprinkling of crunchy sliced almonds.